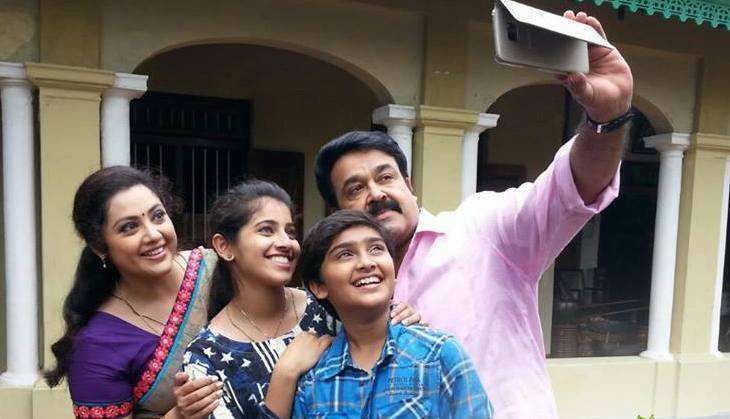 Mohanlal's family entertainer, Munthirivallikal Thalirkumbol is doing phenomenal business at the Kerala Box Office. Directed by Vellimoonga fame Jibu Jacob and produced by Sophia Paul under the banner of Weekend Blockbusters, the film was released on 20 January 2017. Munthirivallikal Thalirkumbol continued to hold well at the Kerala Box Office​ on its second weekend as well despite the new Bollywood releases, Shah Rukh Khan starrer Raees and Hrithik Roshan's Kaabil.​ ​​The Mohanlal starrer has already completed 5000 shows across the Kerala to become the second fastest film after his 2016 release, Pulimurugan to do so. The film also emerged as the actor's third release in a row to cross Rs. 1 crore mark from the Cochin multiplexes alone after Pulimurugan and Oppam.